Sadly, it seems like so many young lives are being lost in the entertainment industry. 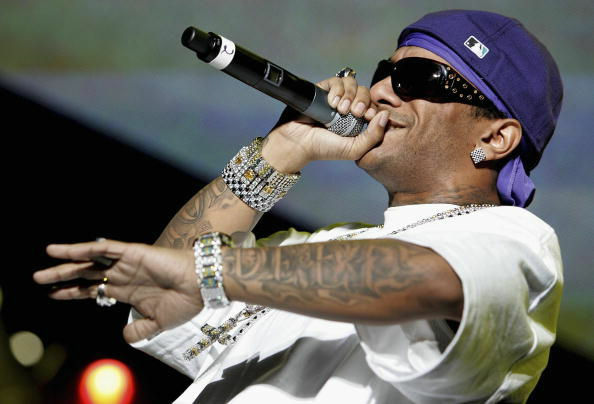 Albert Johnson, better known as Prodigy, a rapper who was one half of the New York City hip-hop duo Mobb Deep, died last month. He was only 42-years-old. Before his death, he was hospitalized due to complications from a “sickle cell anemia crisis” after performing in Las Vegas. Although the exact causes of death have yet to be determined, he battled sickle cell disease (SCD) for all of his life. Sickle cell disease is essentially a red blood cell disorder that affects the way oxygen is carried throughout the body. The hemoglobin, which is a protein in red blood cells, in people with SCD is abnormally shaped. Sickle hemoglobin is not like normal hemoglobin. It may form stiff rods within the red cell, changing it into a crescent or sickle shape. These sickle-shaped cells are not flexible and can cause blockage that slows or stops the flow of blood. When this happens, oxygen can’t reach nearby tissues. Sickle cells generally die after 10 or 20 days. As a result, patients with SCD have a lower red cell blood count than normal. Normal red blood cells generally live for 120 days. SCD is an inherited disorder, meaning a person gets it from their parents’ genes. The poor oxygen delivery a person experiences from SCD may cause organ damage. The NIH says, “[i]n high-income countries like the United States, the life expectancy of a person with SCD is now about 40–60 years. In 1973, the average lifespan of a person with SCD in the United States was only 14 years.” To see the different variations of the disease, click here. SCD is diagnosed through a blood test and is most commonly found during newborn screening tests after the birth of a baby. The only cure for this disease is a bone marrow or stem cell transplant, which according to the CDC “are very risky, and can have serious side effects, including death.” The CDC says the best donor is usually a brother or sister to the person receiving the bone marrow or transplant. What are the symptoms of sickle cell disease (SCD)? So how can you be proactive and better manage SCD in order to live your healthiest life? Drink 8 to 10 glasses of water everyday. Dehydration may cause a sickle cell crisis. Avoid hot or cold temperature extremes, which can also cause SCD crisis. Get regular check-ups by your doctor. Exercise regularly but not too rigorously. Also keep your immune system as healthy as possible by maintaining a healthy diet with all of the essential vitamins and minerals. A strong immune system is important for avoiding infections. The high red blood cell turnover generally results in folate depletion. As a result, the National Heart, Lung, and Blood Institute guideline for SCD recommends folic acid supplementation for patients with sickle cell anemia at the dose of 1 mg/day. Iron. Iron-rich foods include red meat, pork, poultry, seafood, beans, spinach (and other leafy greens), peas, cherimoyas and iron-fortified cereals. Zinc. Eat lamb, pumpkin seeds, grass-fed beef, mushrooms, chickpeas, spinach and chicken to get more zinc in your daily diet. Copper. Copper rich foods include sunflower seeds, lentils, almonds, dark chocolate, beef liver and asparagus. Magnesium. Foods containing magnesium include spinach, pumpkin seeds, yogurt, kefir, almonds, black beans, avocado, figs, dark chocolate and bananas. Genetic diseases are tough, because we cannot help conditions we are born with. It may make us feel as if we are not in control of our own health. We can, however, be proactive by educating ourselves and knowing what steps we can take to manage symptoms and live our happiest and healthiest lives.